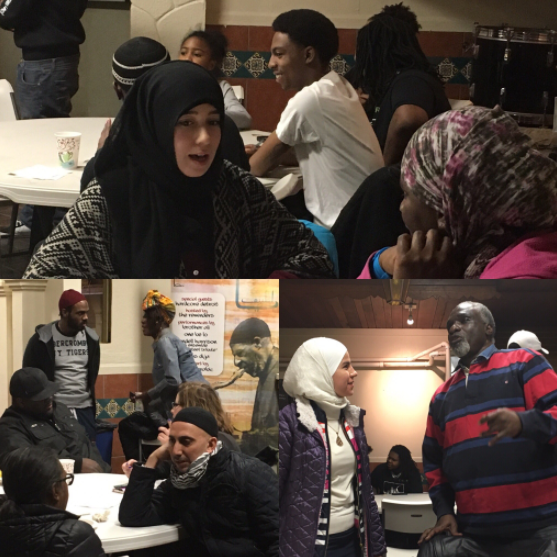 This year, IMAN’s Community Organizing Training returned to Catholic Theological Union in Hyde Park, where 40 leaders gathered to strengthen their understanding of concepts and skills for making change in their communities. This year’s training participants brought together longtime IMAN leaders from our Green Reentry and our organizing campaigns, and included leaders from across Chicagoland and from out of state, working on a range of issues in their communities. 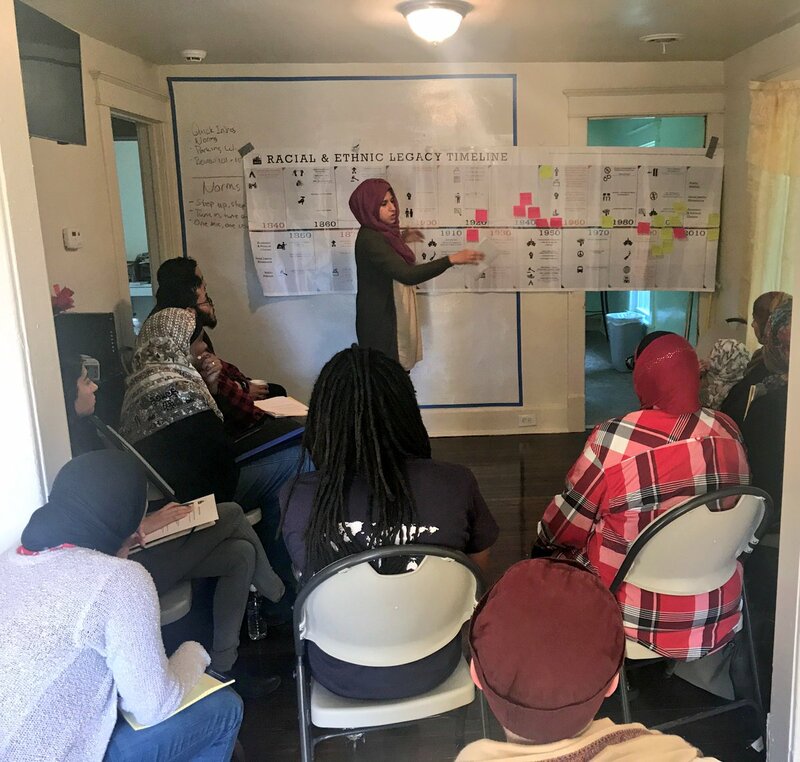 In addition to IMAN’s standard modules focused on the importance of knowing and sharing our stories, relationship building, self-interest, and power, this year’s training highlighted the connection between organizing, the arts, and mental health, which has long characterized IMAN’s holistic model. PHENOM, a longtime IMAN arts leader, performed pieces on power and community building, and Licensed Clinical Social Worker Suzanne Chopra led modules around the importance of goal setting and self care. At the same time the trainees were forging common bonds in Hyde Park, the tragic events in Charlottesville were polarizing the nation. Witnessing the chaotic violence in Virginia’s streets served as a stark reminder of why holistic spaces like IMAN’s Organizing Training and Grassroots Power Hour are essential to establishing a truly beloved community. 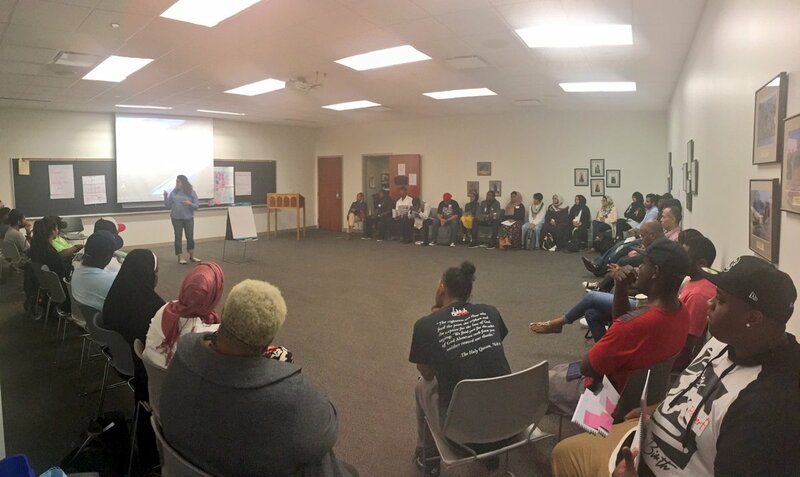 A couple weeks after the training in Chicago, IMAN organizers traveled to Michigan and facilitated a special, daylong workshop for leaders from grassroots partner organization Dream of Detroit. The session emphasized the importance of understanding shared narratives, and contextualized key IMAN organizing principles around issues of housing and other campaigns that Dream of Detroit leaders are currently engaging. Recent federal policy decisions around immigration and criminal justice have had a marked impact on the daily lives of many Chicagoans, and particularly those in the Marquette Park area. 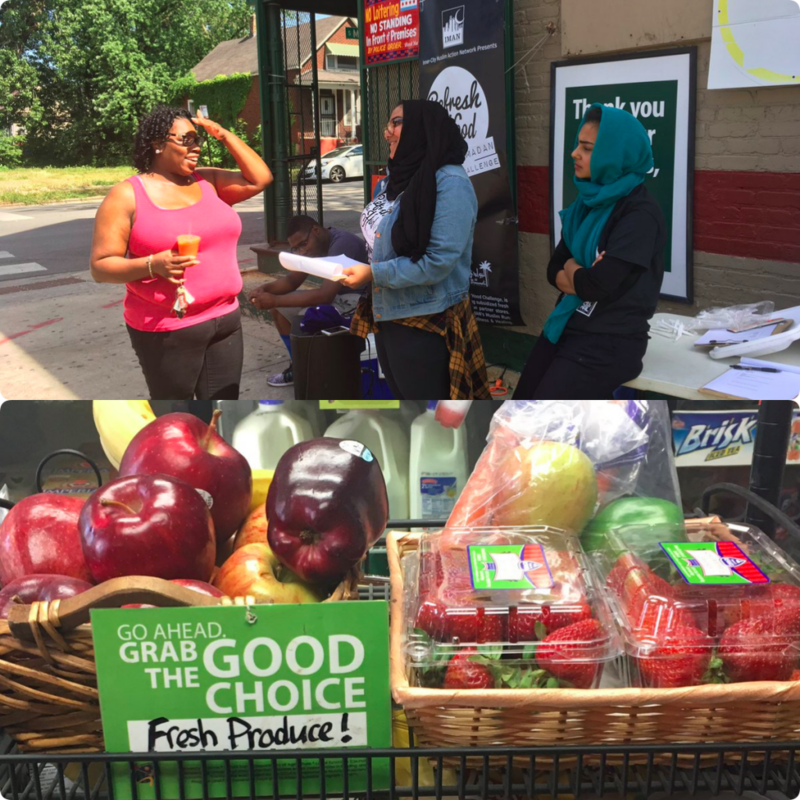 Recognizing the growing importance of accessible community organizing spaces, IMAN established weekly Grassroots Power Hour sessions to serve the needs of local individuals and families navigating our quickly shifting political landscape. Over 300 community members have been engaged thus far through the Grassroots Power Hour initiative, invigorating our base of local leaders. Grassroots Power Hour is vital space for residents from across the city to come together for education and relationship-building. Through genuine relationships, IMAN has been able to collectively build power that has fueled our organizing work over the last 20 years, allowing us to push for the types of policies and neighborhood transformation that our communities so desperately need. Grassroots Power Hour has also opened up space for healing through artistic expression and self-care, access to legal counsel, and training around organizing concepts. As IMAN prepares for this weekend’s annual United Congress of Community and Religious Organizations (UCCRO) convention, we reflect on the power of this decade-old alliance that was established to unite communities of color, organize and advocate for a grassroots human rights agenda. From the beginning, UCCRO sought to connect the stories of collective experiences, and from the beginning the stories of our First Nations brothers and sisters played a critical role in that effort. Earlier this year, LaDonna Brave Bull Allard and other members of the Standing Rock Sioux Tribe began organizing to halt the construction of the Dakota Access Pipeline (DAPL), which would pump 570,000 barrels of crude oil per day from North Dakota all the way to Illinois. If built, DAPL would cut through land held sacred by the Standing Rock Sioux and risk contaminating the drinking water of the tribe and other communities along the pipeline. 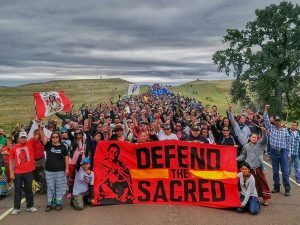 The #NoDAPL movement has inspired solidarity in the hearts of millions across the world who support the Standing Rock Sioux as they safeguard their ancestral land. 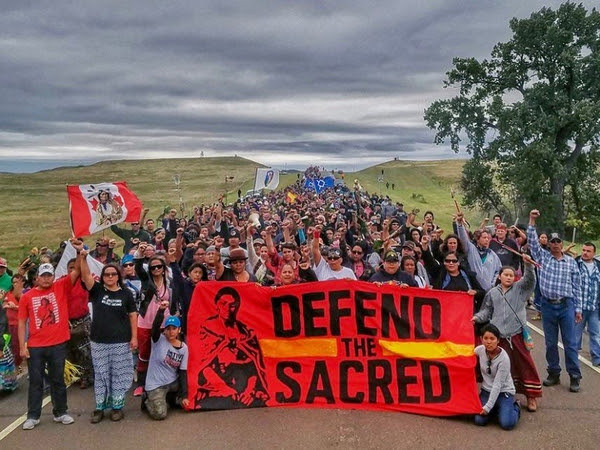 IMAN stands in solidarity with the Standing Rock Sioux and all communities asserting themselves through organizing and alliance-building to address systemic racial and environmental injustices.